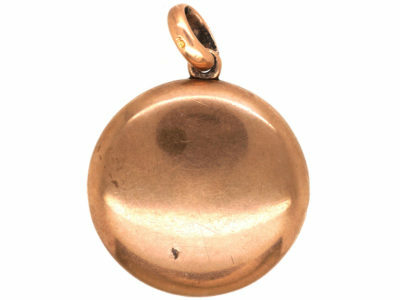 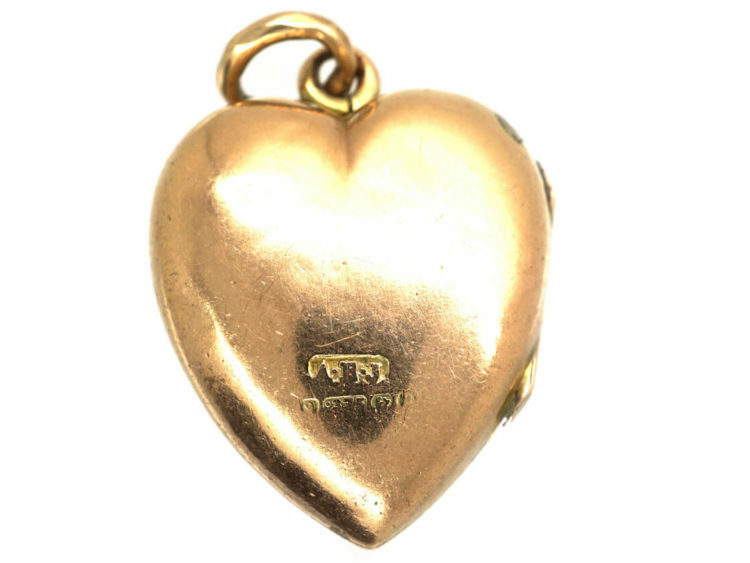 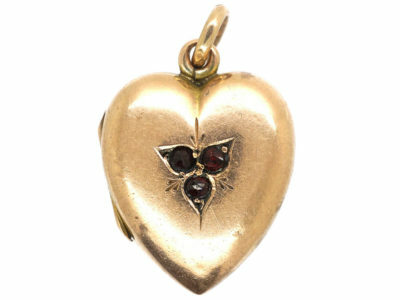 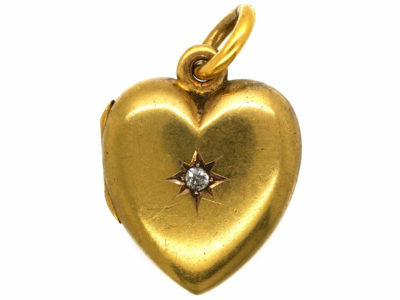 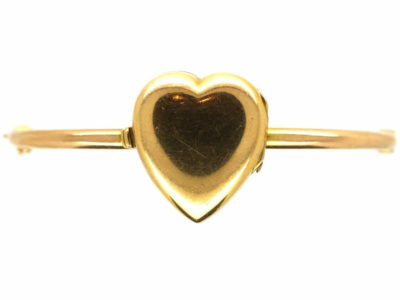 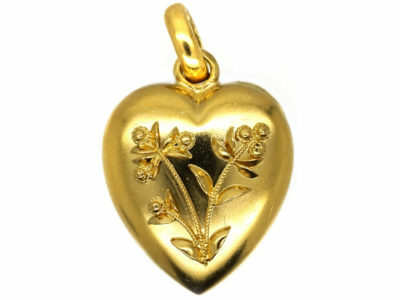 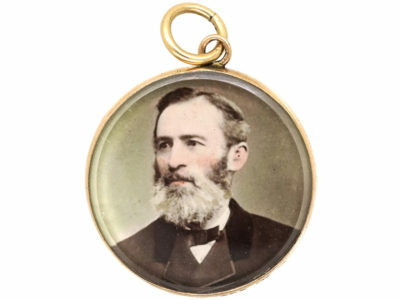 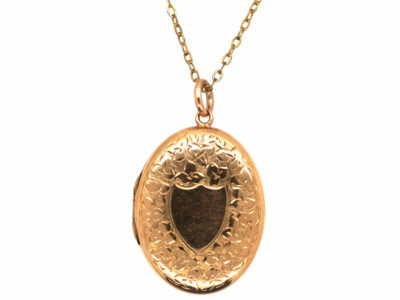 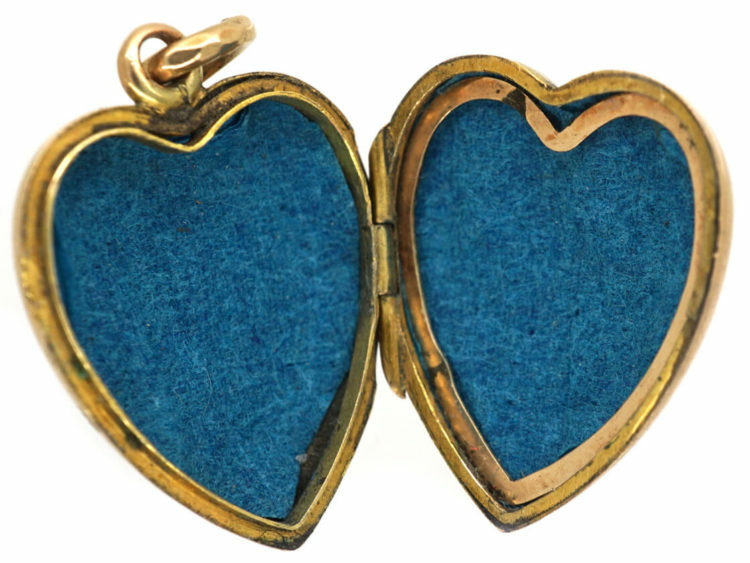 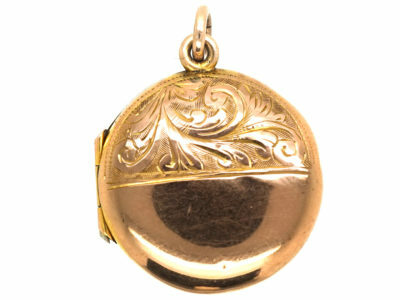 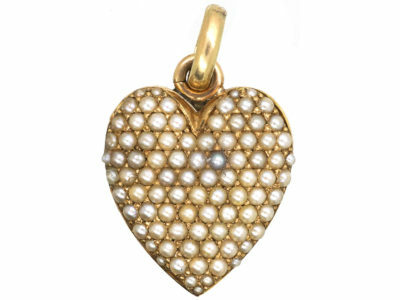 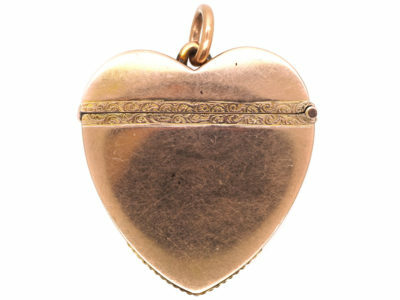 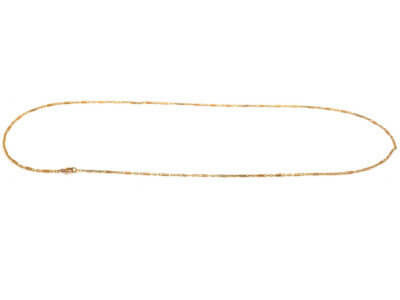 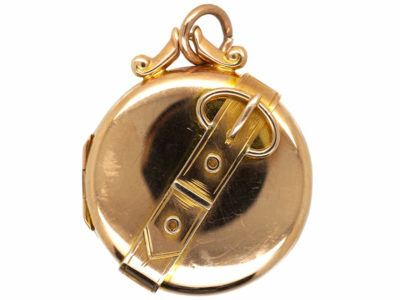 A charming 9ct gold heart locket that opens to reveal a section for a photograph. 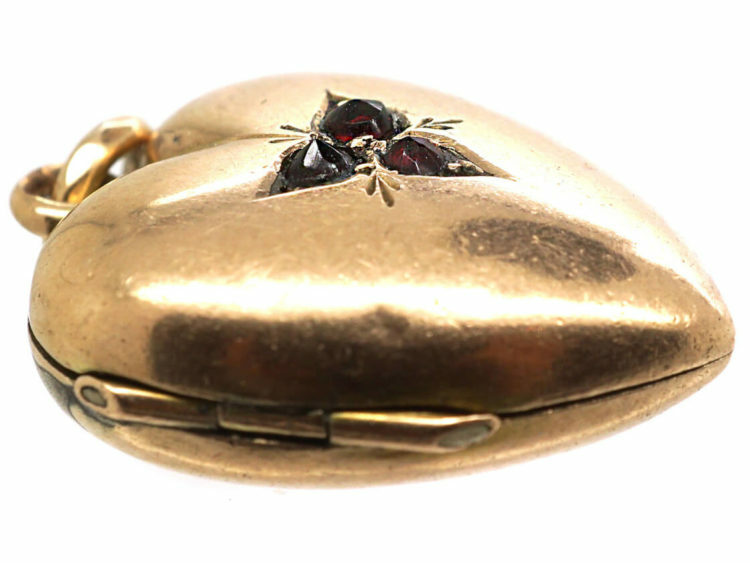 It has been set with three garnets in a trefoil leaf design. 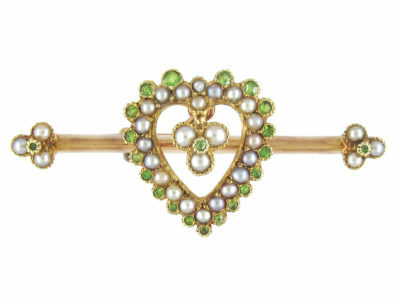 It was made circa 1900-1910.